The best part about technology is that it isn’t just growing at a maddening pace, it is also adapting appropriately based on the needs of various people. Every important invention has now been re-invented ten times over just to maximize the potential of a great idea. Portability is one of those facets that everybody pays close attention to. Making a computer was great, but making it portable and converting it into a laptop made it even more impressive. There are a lot of products that are portable these days, keeping in tune with the needs of the modern person on the move. Here is a list of 10 of the coolest and wackiest portable products in the market. For all those people out there who just can’t stay away from Pizzas no matter where they go, the portable pizza oven has been made just for you. 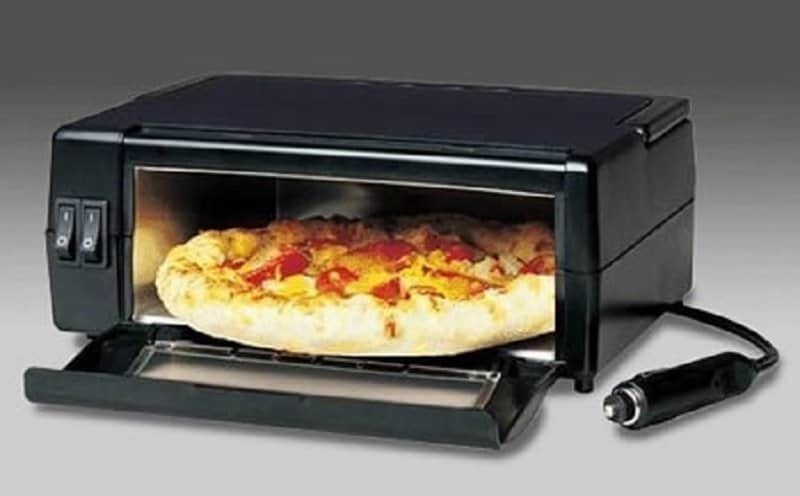 It runs on a 12 V power source and offers a top-to-bottom heating mechanism to make sure that the pizza cooks evenly. 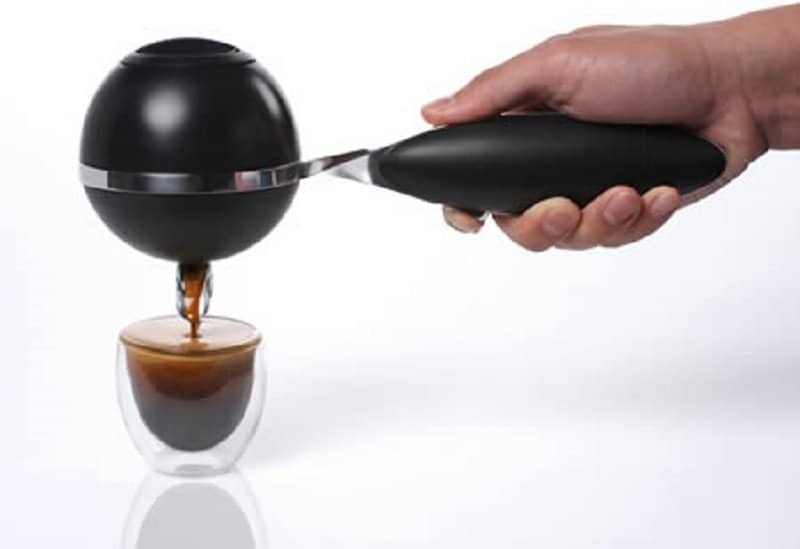 What better way to ensure that you have a great start to your day no matter where you go, than by having a portable espresso maker. This awesome product is called TWIST, and it is the first completely portable expresso machine in the world. You just need to add hot water to the brew, and it produces great espresso without even an external power source. This product is perfect for all those people who love camping but hate setting up a fire. It also works great when you are trekking or backpacking through hills and mountains. 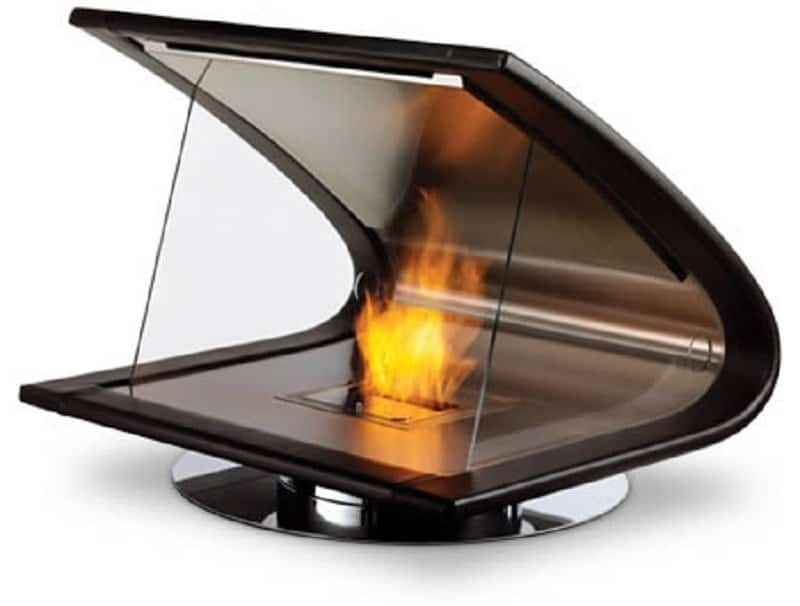 It was designed by a firm in Sydney and is called the ‘EcoSmart Zeta’ fireplace. This sounds almost too good to be true, but the Japanese managed to work their portability magic even in this area. 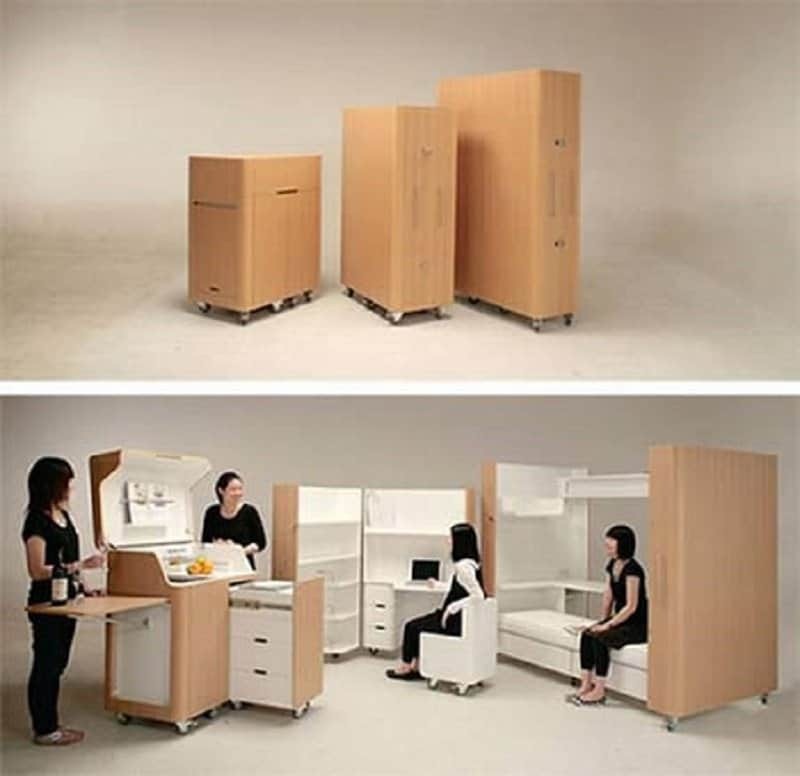 The portable bedroom was designed by Japanese company Atelier OPA and is the first product of its kind. It actually includes a mobile work station, bed and kitchen, and allows you to carry all of these necessities in one tiny, compressed box. Are you tired of having to stand around waiting for your friends or the public transport? 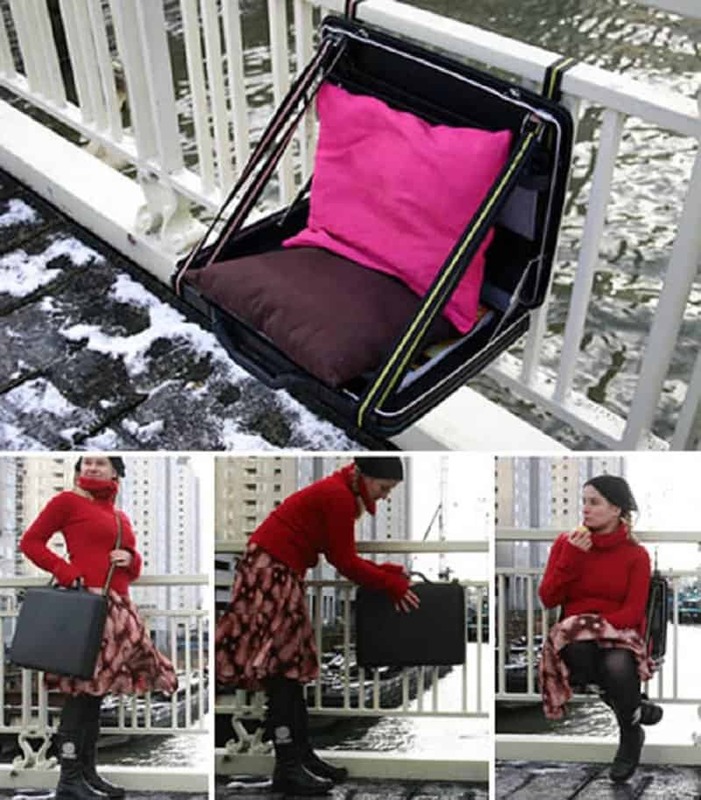 You can now do all your waiting on your posterior by picking up a portable briefcase seat. This product was made by artists Joan Korbes and Denis Oudendijk, and it is the perfect solution for all those people who hate thinking on their feet. 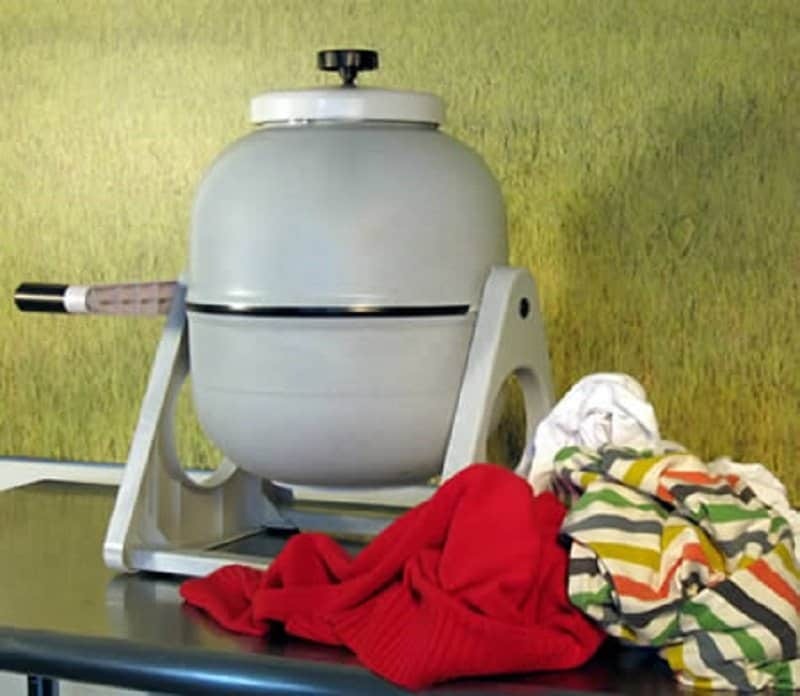 Wouldn’t it be able to cook your own food even when you are travelling by car, bus or train? 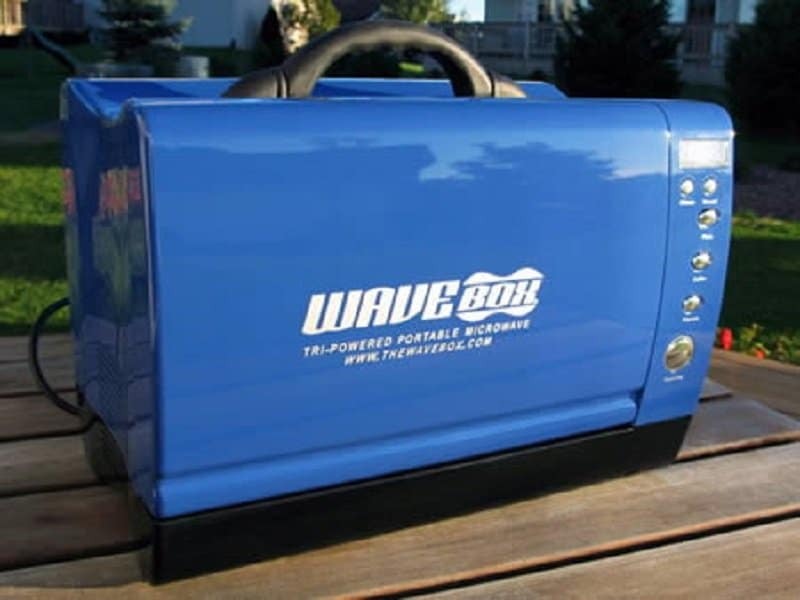 The ‘Wavebox’ is an actual portable microwave oven, that allows you to do just that with a lot of ease. It has a reinforced ABS casing and a heavy duty handle to make the transportation easy, and is supposed to have enough power to be able to do the cooking of any ordinary oven. Always wanted to Karaoke but hated going to bars and watching people make fools of themselves? 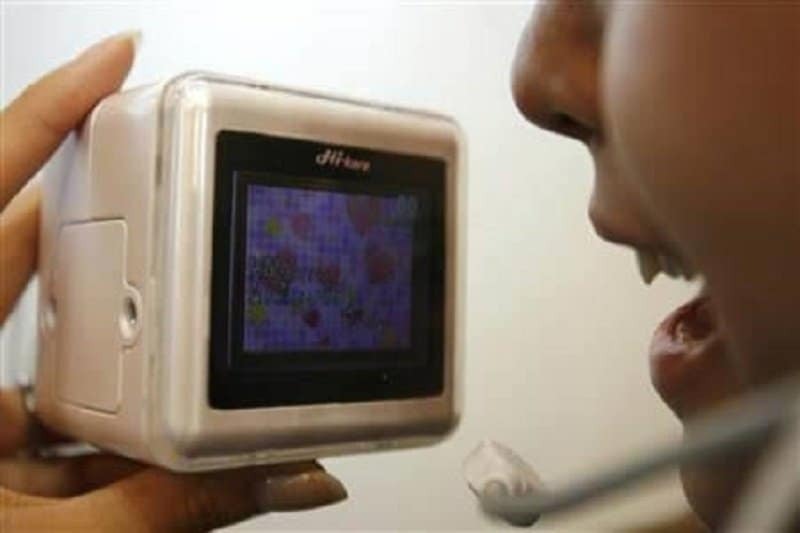 Now you can pick up the ‘Hi-kara’ portable Karaoke machine that is only 3-inches wide and allows you to follow the lyrics of any song you like. It has a 2.4 inch display that shows you the corresponding lyrics, and you can follow the tune of the song using the provided headset. The headset even has a speaker so that your friends can hear you jam. When you are travelling to different parts of the world, you can’t carry your entire wardrobe around as that would be totally impractical. It would be easier to just carry the necessary clothes and pick up a portable washing machine in order recycle the clothes you actually carry. This wacky product was made by Japan-based company Niban Too Corporation and that comes as no surprise for some reason. 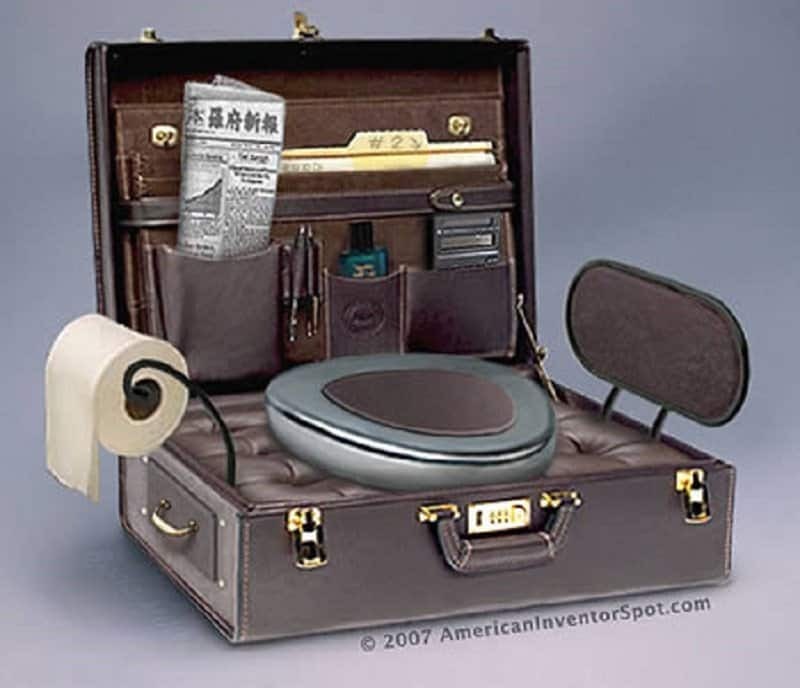 It is called the ‘Gotta go’ briefcase, and it actually has a steel toilet bowl inside it that supports nearly 175 pounds of poop. Most people on the move enjoy having a light breakfast that usually involves some toast. Having a portable toaster is the best product in this situation. 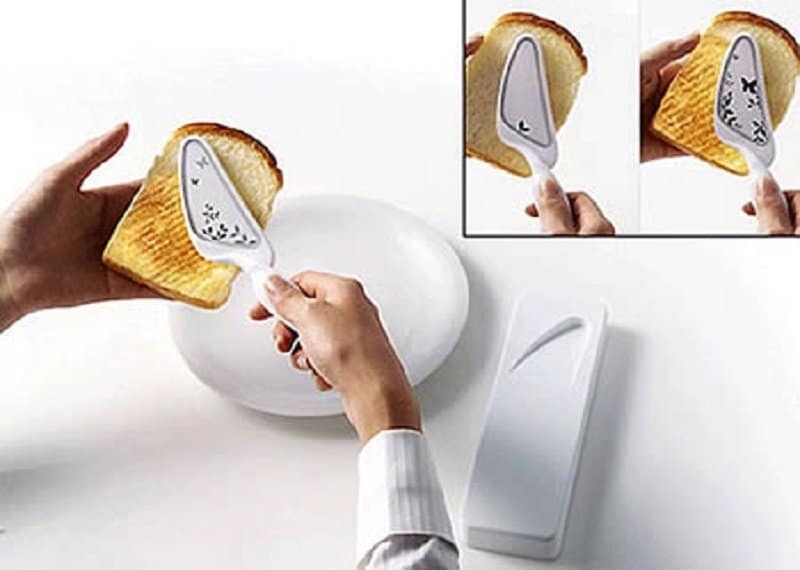 This awesome product actually uses just a knife that has a toaster attached to it, and the knife heats the surface of the bread as you pretend to rub some imaginary butter over it.